Radius Indiana’s eight counties in Southern Indiana feature low tax rates, a skilled workforce and multiple sites available for new construction or relocation as well affordable cost of living and housing. The region is framed by interstates 64, 65 and the new I-69 corridor, the largest new terrain project in the United States. The region boasts a ceritfied technology park and the world’s third largest Navy base, Naval Support Activity Crane. 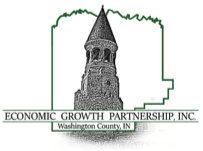 Explore our counties of Crawford, Daviess, Dubois, Greene, Martin, Orange, Lawrence and Washington to learn how your business can prosper in our unique and thriving region.